Industrial production and excessive consumption of meat and dairy products have grave impacts on our climate, our environment and our health. 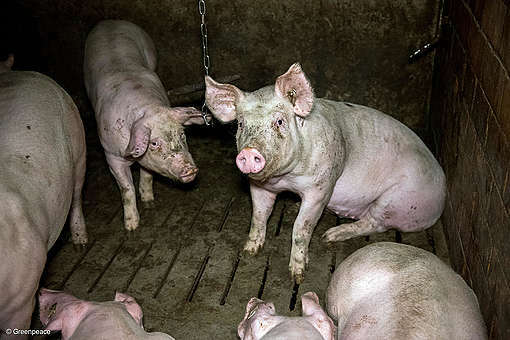 An ever-increasing body of scientific evidence makes the need to reduce our production and consumption of animal products clearer and more urgent than ever. Europe’s consumption habits and production levels have widely exceeded any health, environmental and climate limits that science has defined. In the European Union the average per capita consumption of meat is twice the global average. 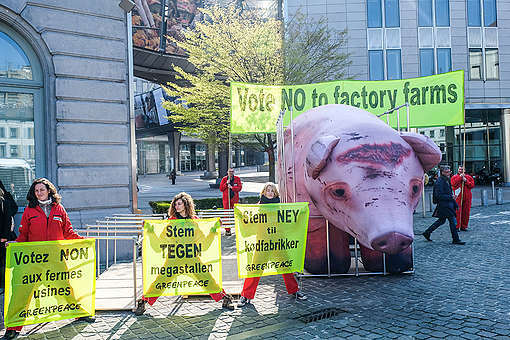 In light of the scientific evidence on the impact of industrial livestock production and of high consumption of animal products, Greenpeace commissioned an evaluation of how public funds delivered via the EU’s common agricultural policy (CAP) are currently used. 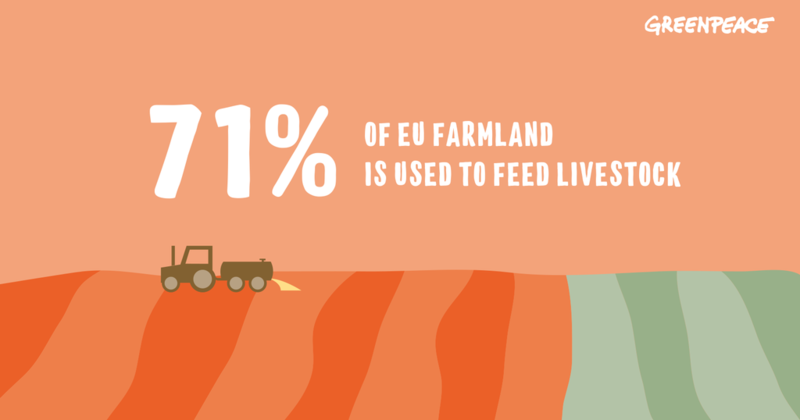 The report analyses trends in the European livestock sector, and compiles information on the use of agricultural land in Europe. 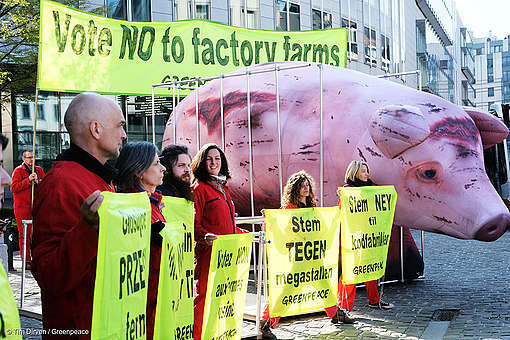 The research shows that the major trend in the European livestock sector is an ever-increasing concentration of meat and dairy production in fewer and larger farms. land is used to produce animal feed instead of food for people. between 18 % and 20 % of the EU’s total annual budget. the climate and public health, and to reverse the current trend of farming intensification that it helped create.